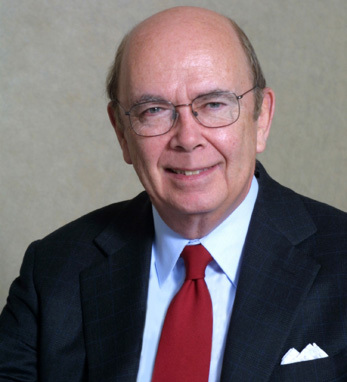 Wilbur L. Ross, Jr. is CEO and chairman of WL Ross & Co. LLC, and chairman of the investment committee of Invesco Mortgage Recovery Fund. An industry leader in bankruptcy, restructuring and privatization services, he has been involved in some of the largest bankruptcies and out-of-court restructurings. He has assisted in restructuring more than $300 billion of corporate liabilities. Wilbur was executive managing director of Rothschild Inc. for 24 years before acquiring that firm’s private equity partnerships in 2000. He holds an MBA with distinction from Harvard University and an AB from Yale University, which recognized him with the Yale Legends of Leadership award in 2009. WL Ross & Co. is the largest private investor in Bank of Ireland. A fourth-generation Irish American through his mother, Agnes O’Neill, Wilbur was honored by The American Ireland Fund in 2011. He says, “Resiliency is a major Irish trait that is very important to me as an investor in distressed companies.” He has two daughters, Amanda and Jessica, and is married to Hilary Geary Ross, also an Irish American.